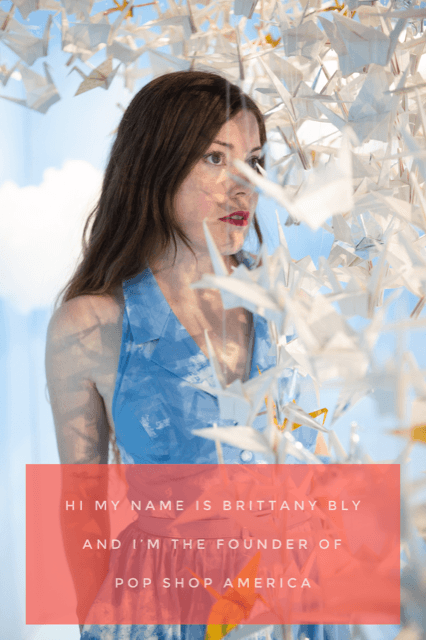 Want to make this simple diy that’s totally cute and fun? 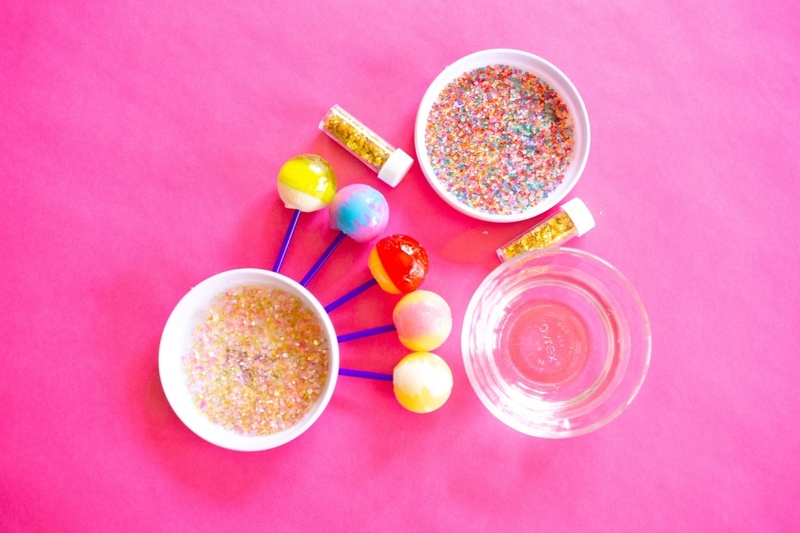 This is the kind of diy that’s going to make kids happy! It would be party perfect too. 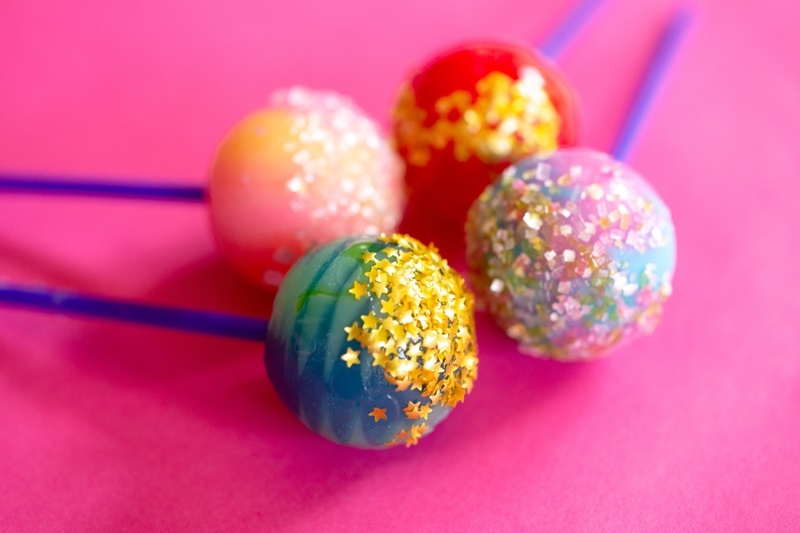 It’s Edible Glitter Lollipops that you can make in a rainbow of colors. 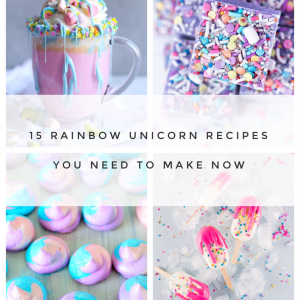 The best part is they are so easy to make! 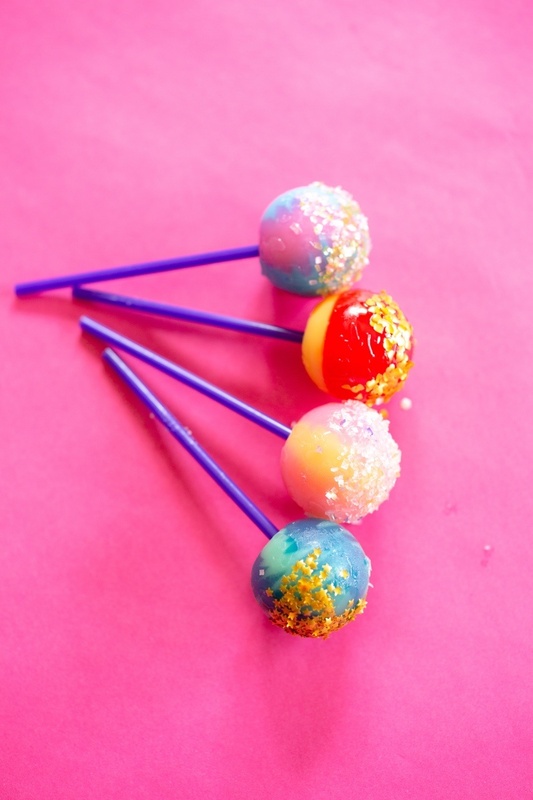 You know we love rainbow candy, so making these Edible Glitter Lollis was a must! First dip your lollipop in the water. Don’t cover the entire lollipop – just wet a small area. 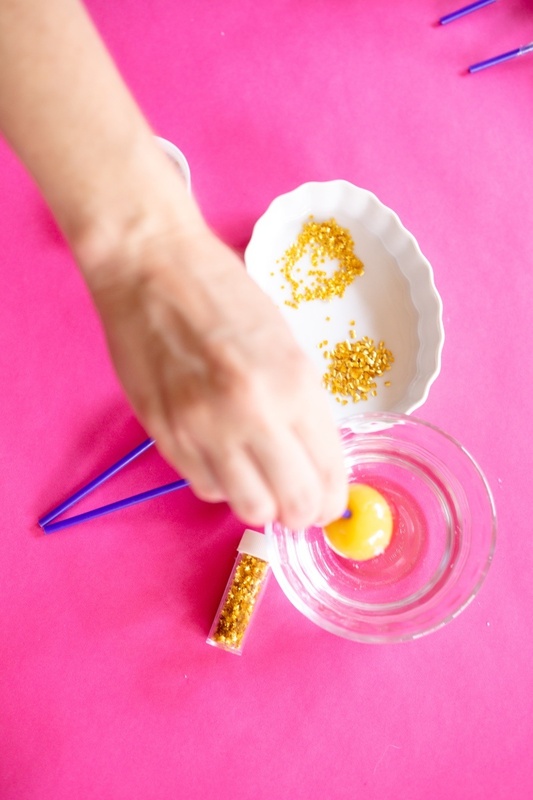 Then roll it through your edible glitter and allow it to dry. 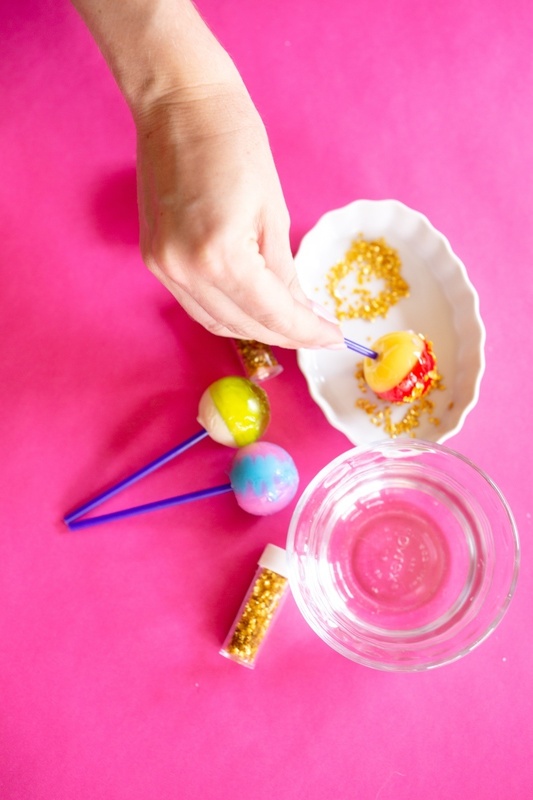 Be sure that your lollipop isn’t too wet because you don’t want your glitter to melt too much. 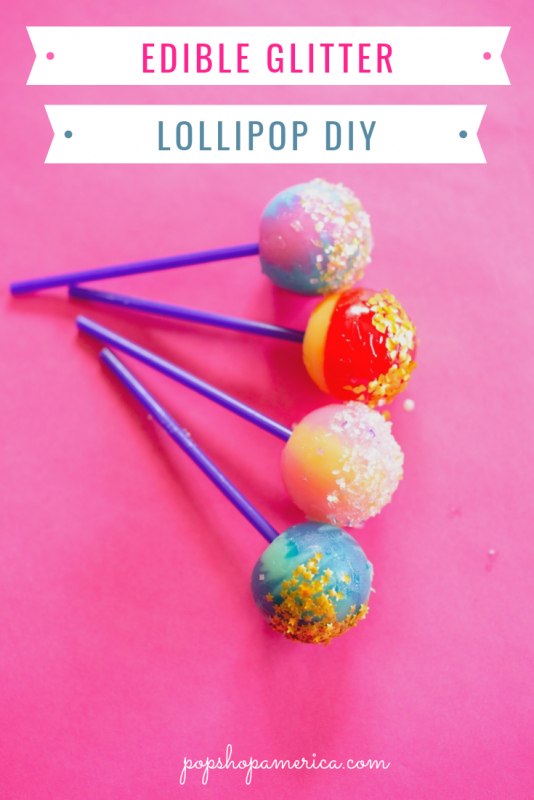 Also be sure that you are adding the glitter in different patterns on each lollipop! You wouldn’t want all of them to look the same now would you? You could do some just on top and others at an angle. 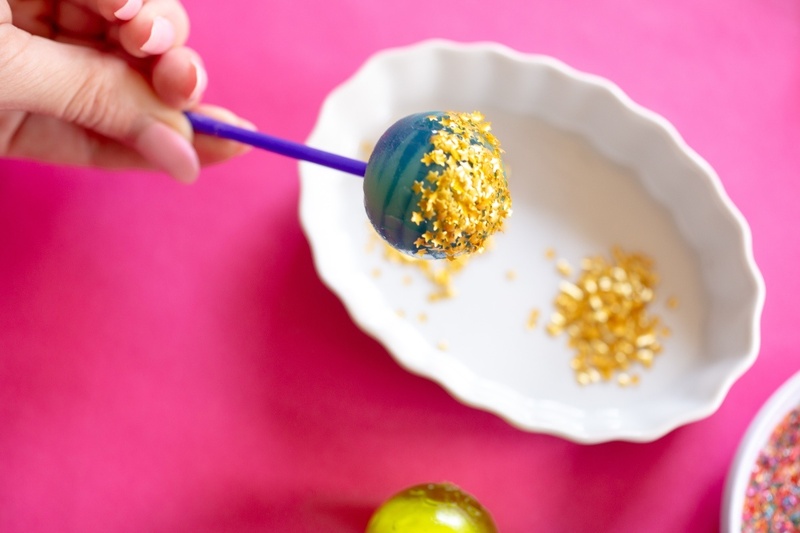 Edible glitter comes in a million different colors so adding them to the lollipops is just about making cool color combinations and cool patterns. It’s really fun. 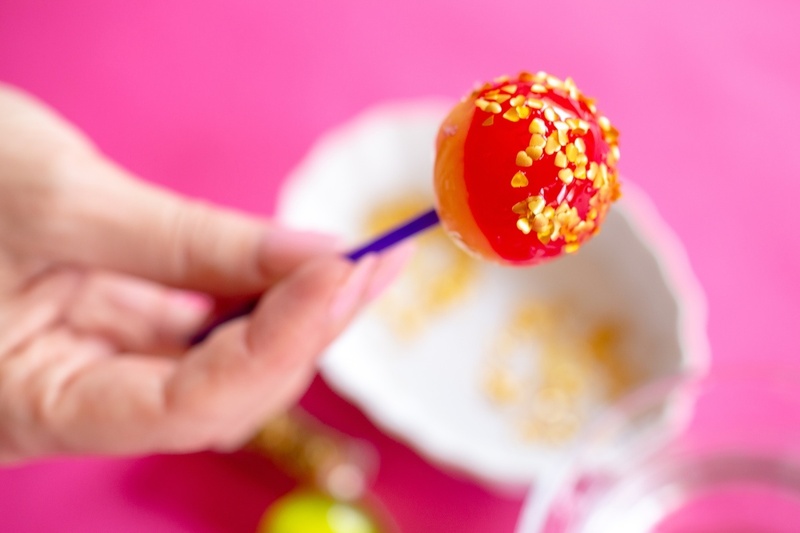 Your lollipops are ready to eat immediately and adding glitter to them won’t effect how they keep. So you can keep them in the fridge or wrapped up for several months. They also travel well! This would be the perfect treat for your little one after getting a good grade on a test. 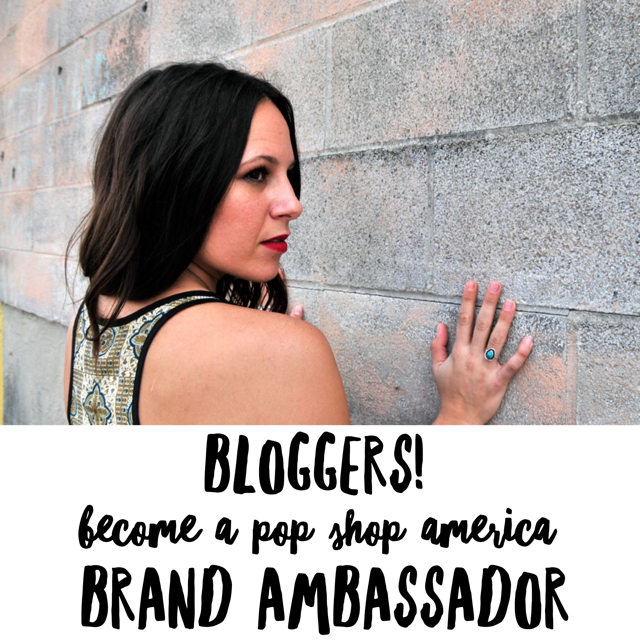 It would also be a fabulous party favor for a Pride Party or even a birthday party! 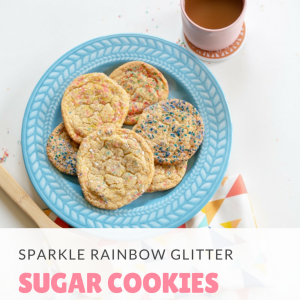 They are so easy to make that you could make them minutes before the event and be stress free. 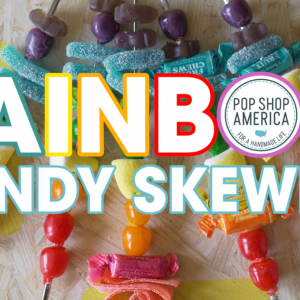 The best part is, use delicious gourmet lollipops and this DIY will be NEXT LEVEL. 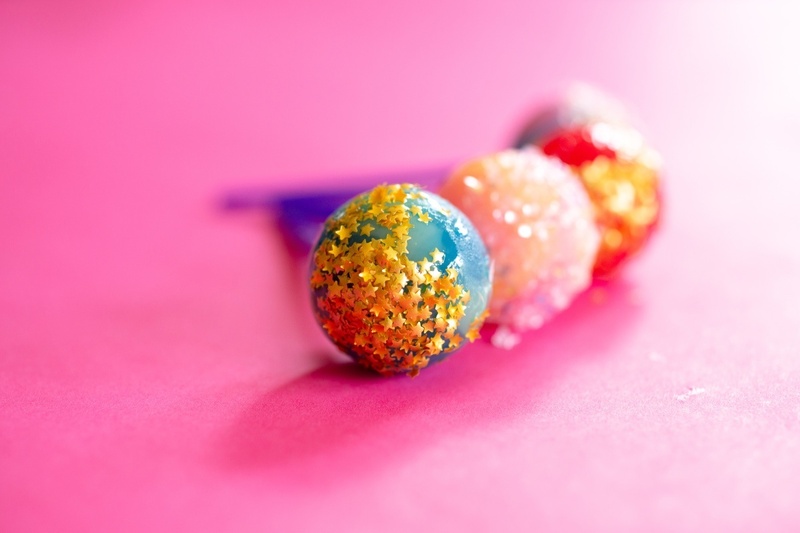 I hope you like these Glittery Magical Lollipops as much as I do! 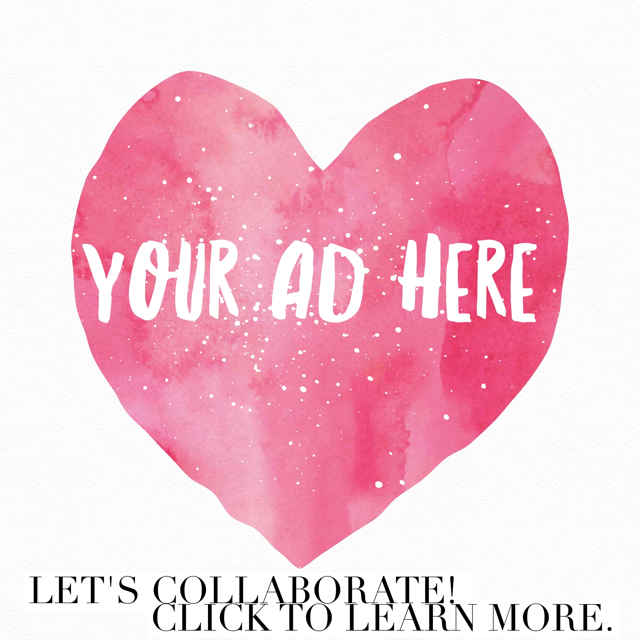 So tell us in the comments what colors you are going to try, what flavor lollipop you use, and all the delicious details!